Posted on 21st November 2018 at 9:14 am. HUNDREDS of graduates dressed in gowns and mortar boards processed amid rapturous applause towards a brighter future after completing their studies at a North college. 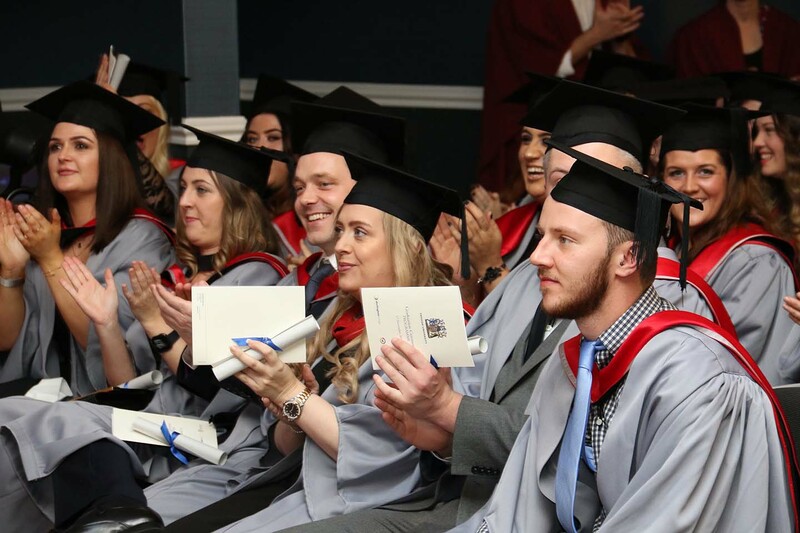 Families, friends and staff were joined by academic and civic dignitaries to celebrate as the class of 2018 marked the culmination of their studies at Darlington College. One by one they collected their awards certificates from Darlington College principal Kate Roe and Teesside University pro-vice chancellor Professor Mark Simpson, proving their dedication to learning, often overcoming adversity in the process. 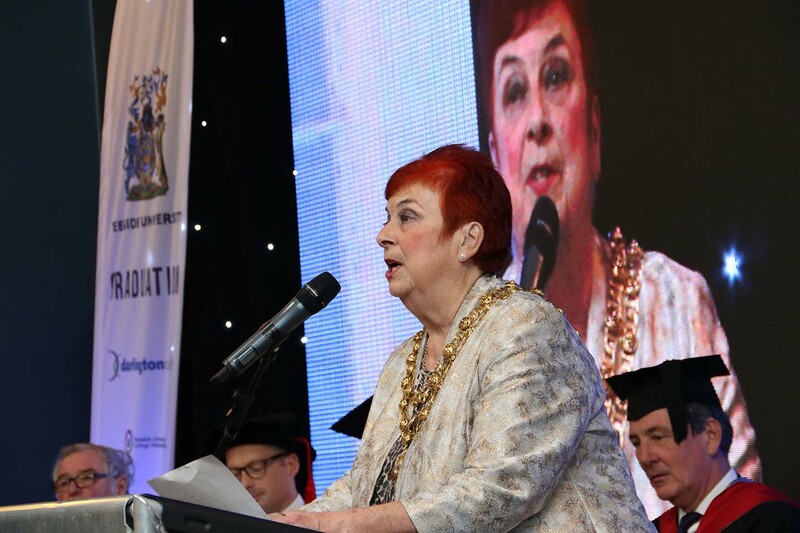 Guest of honour Darlington Mayor Veronica Copeland told guests at the graduation ceremony, at the Mercure Darlington King’s Hotel: “We are hugely proud of Darlington College which reflects the aspirations and talents of our community. Professor Simpson said: “In the current climate we are all too aware of the sacrifices made by families to support students and the dedication and commitment of staff, without which these achievements would not have been possible.